Thinking of Adopting NIST Security Standards? Running a proactive cybersecurity program is no longer a "nice to have". Join the increasing number of business leaders initiating adoption, including 50% of all U.S. businesses by 2020 according to Gartner. 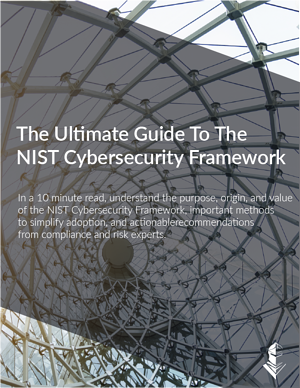 The NIST Cybersecurity Framework is the most comprehensive, risk-based approach to running a proactive cyber program. "CyberStrong empowers organizations to build a cyber-resilient foundation by simplifying the adoption of the gold standard NIST Cybersecurity Framework (CSF), a widely accepted national standard for cybersecurity. CyberStrong streamlines the compliance process, increases visibility, and adds clear metrics to ensure an efficient process that yields safer systems and increased cyber resiliency."